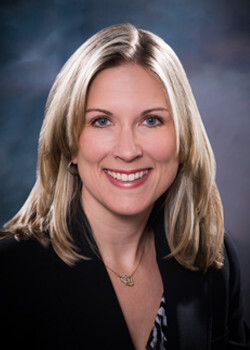 Jeannine Zimmerman joined The CFO Squad as their Vice President of Operations where she has the key position of reporting to management, overseeing various engagements, and supervising staff on a daily basis. She was promoted to Vice President of Human Resources in December 2014 in response to the increased demand for the CFO Squads core services. Jeannine began her business career at SEC Solutions Group, LLP, which specialized inproviding public companies with assistance with their SEC filing requirements. Jeannine assisted on all phases of the public filings, including audit and review preparation, internal control and SOX 404 testing, financial statement analysis and review, and audit documentation maintenance. Jeannine’s leadership and knack for detail helped the company grow to the point where it was acquired by a large public accounting firm in NewYork City. Over the next seven years, Jeannine joined two different public and not-for- profit accounting firms, where she worked with a variety of clients including real estate, school districts, manufacturing, distribution, logistics, waste management, and communications. She has vast experience with small and large organizations, with an extensive knowledge of the Accounting Standards Codification.